Winter flounder is one of the most popular fish among recreational anglers and commercial fishermen, due in part to their thick fillets and great taste. Once abundant in Rhode Island waters, their numbers have declined significantly in recent decades, and new research suggests that the warming climate will likely make it impossible to rebuild their stocks to targeted levels. A recent study, led by a former research associate at the National Oceanic and Atmospheric Administration’s Northeast Fisheries Science Center in Narragansett, R.I., concluded that even if fishing were to be curtailed entirely, winter flounder populations are unlikely to rebound. 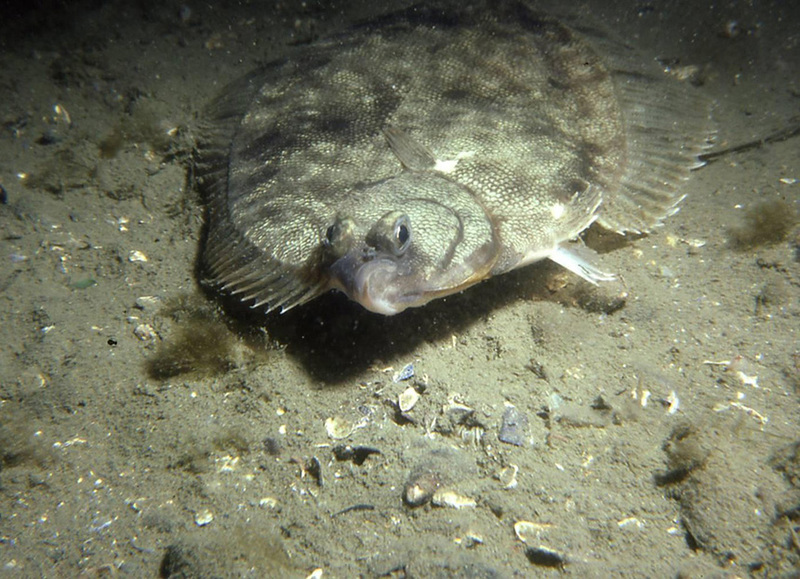 According to Rich Bell, who now works as a fisheries scientist for The Nature Conservancy, winter flounder is a cold-water, coastal species that spawns in estuaries such as Narragansett Bay and Buzzards Bay during the fall and winter when most other flounders migrate south or offshore. Their eggs and larvae develop in the estuaries during the coldest months of the year. The concern is that as the climate has warmed and spring arrives earlier and earlier, the predators are now arriving before the larvae have a chance to grow big enough to escape. Common predators on larval winter flounder include sea robins, summer flounder, sculpins, and crangon shrimp. By combining winter flounder population models with climate models, Bell and his NOAA colleagues projected future population numbers as the climate continues to heat up. They factored in three fishing scenarios into their models: no fishing; moderate fishing representing a small fishery or incidental catch; and fishing at the expected long-term sustainable level assuming the stock was rebuilt to historic levels. A large part of the problem is that winter flounder produce fewer young in warm waters. The species is now rarely caught in southern estuaries such as Chesapeake Bay, and numbers are way down in Delaware Bay and Long Island Sound. “There might be so few in Long Island that there are subtle signs of inbreeding occurring,” he said. Bell noted that winter flounder aren’t headed toward extinction. Populations are healthy in colder water regions like the Gulf of Maine, Georges Bank, and the Canadian Maritimes. But the continuing declines in southern New England raise challenging questions for their management. While Bell wasn’t willing to weigh in on those questions, he said the phenomenon of cold-water fish species experiencing a decrease in productivity and an increase in mortality isn’t exclusive to winter flounder. Other researchers are documenting similar results in other species as ocean temperatures rise. Whether the target levels for rebuilding winter flounder stocks are even plausible is another question. Bell said those targets are based in part on data collected in the 1960s and ’70s before significant warming had occurred and when the species was reproducing at high levels. “Rebuilding plans developed assuming constant rates for demographic variables such as growth, reproduction, and mortality may not be realistic for stocks like winter flounder,” he said. The research was published in September in the Canadian Journal of Fisheries and Aquatic Sciences.